All-Breed Dog Show, June 8, 2019. 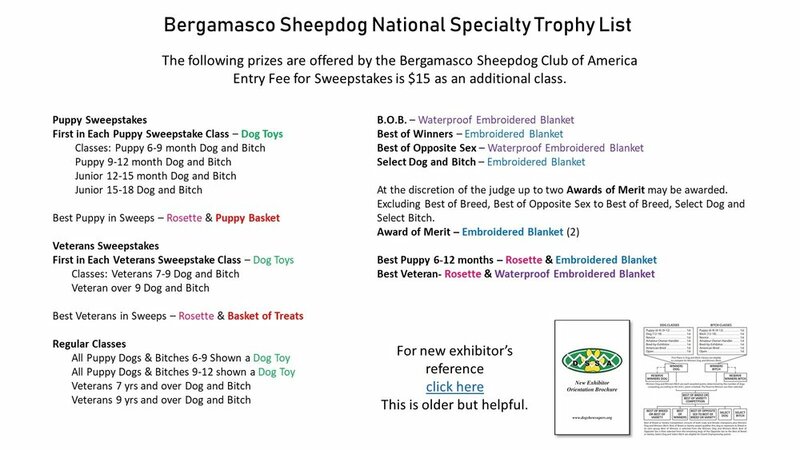 Activities include: Visiting and Sharing Experiences with Other Bergamasco Owners, Fun Zone, Raffle Baskets, Food, Begamasco Coat Help, Handling Advise, Show Etiquette, even a Lobster Dinner $25 after BIS. The Greenwhich Kennel Club has many Special Events and Specials planned for this weekend. Click Here For Details.